Steven Horaney is vice president, membership and sales. He is responsible for OESA member recruitment and retention, as well as leading the OESA Sales Executives, Legal Issues, and Advanced Technology Councils as well as the OESA Mobility Supplier Forum in Silicon Valley. Steve also coordinates the OESA OEM Town Hall meetings, and is active in leading and coordinating a number of the OESA topic driven events. 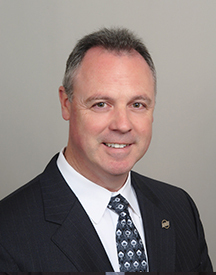 Prior to joining OESA in 2014, Horaney spent more than 25 years with Tier 1 automotive suppliers and lead sales and engineering teams at Guardian Automotove, Zeledyne LLC, AGC Automotive Americas and Key Manufacturing. Horaney has a Bachelor of Science in Business Administration from Central Michigan University in Mount Pleasant, Mich., and an MBA from Eastern Michigan University in Ypsilanti, Mich.